The Mu­nich Cre­a­­tive Busi­­ness Week (MCBW) pro­vid­ed the back­­­drop for the pre­sen­­ta­­tion of the iF awards at BMW Welt in Mu­nich, held on Fe­bruary10, 2012. 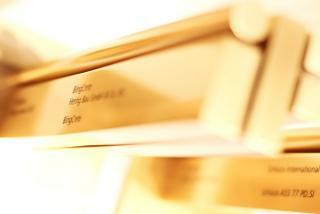 BlingCrete re­­ceived one of the cov­­et­ed iF gold awards for high­­­ly in­­no­­va­­tive ma­te­rial de­vel­op­­ment and out­­s­­tand­ing de­sign achieve­­ments. The win­n­ing en­tries of the in­­ter­­na­­tio­n­al­­ly renowned de­sign com­pe­ti­­tion are al­­so on show at the iF gold award ex­hi­bi­­tion at the BMW Mu­se­um (Fe­bruary 11-26, 2012) and will al­­so be pre­sen­t­ed at the iF de­sign ex­hi­bi­­tions, in­­­clud­ing shows at the CeBIT (March 6-10, 2012), at Ham­burg's Har­bour Ci­­ty (se­­cond half of 2012) and in Haik­ou (Hai­­nan Is­­land/Chi­­na, from May 2012 on­wards).